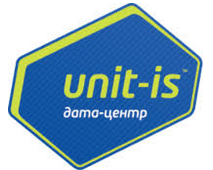 The company Mirohost has been operating on the Ukrainian market for almost 15 years, and considering its partnership with Imena.ua, it is one of the largest Ukrainian hosting companies. The equipment is very stable and meets the world's highest standards. For each customer who orders hosting for a period of 1 year, this provider registers the domain for free. Service support works well, but unfortunately, Livechat, isn't an option. Prices from this provider certainly aren't the lowest, but the quality is worth the cost. 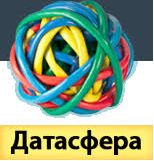 Freehost is one of the largest providers in the Ukrainian hosting market. This company has reliable and modern equipment. There was a period of time when there were complaints about the speed of php scripts execution, but they stopped. Also, our testers highlighted the updated interface, which is more convenient, but the information is harder to access than at other providers. Shared hosting is well protected, however, rather overpriced. It is possible to find cheaper and more advantageous solutions. Moreover, the backup policy is not very satisfying. In case you have more than 1 or 2 small websites, it is required to purchase additional backup storage. Additionally, the security policy seems strange: expensive anti-DDoS protection only for Netherland servers. Nevertheless, the VPS and Dedicated hosting seem very nice and resourceful. So, for this company, only the latter two packages can be considered as qualified and worth a try. Colocall has been around a long time in the Ukrainian hosting market. Today, it has a large customer base, but although their numbers are growing, the quality is decreasing ... Also, our experts considered the prices unjustifiably high, which is a huge negative. Recently, some web projects that aren't entirely legal or are afraid of harassment by authorities transfer their service to Holland, Germany. etc. 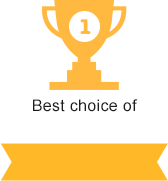 But if you are determined to host your servers in Ukraine, then this rating was made for you. Make sure you study the price plans carefully, and look at all the asterisks under which additional conditions apply. Typically, the price indicated is only for a specific data center. Installation, setup, and connections could cost extra money. DC ratings by country: China, Netherlands, Germany, UK, USA, Russia.